Completely remodeled home in Summerwood of Oak Creek. Conveniently located to shopping, interstates, Crosstown & minutes from downtown Tampa and Brandon. This meticulously kept home sets on a large corner lot w/custom landscaping, beautiful elevation & brick paver front porch. Upon entering you will notice the grand open floor plan. Wood look porcelain tile throughout the entire home & new upgraded carpet in the bedrooms. 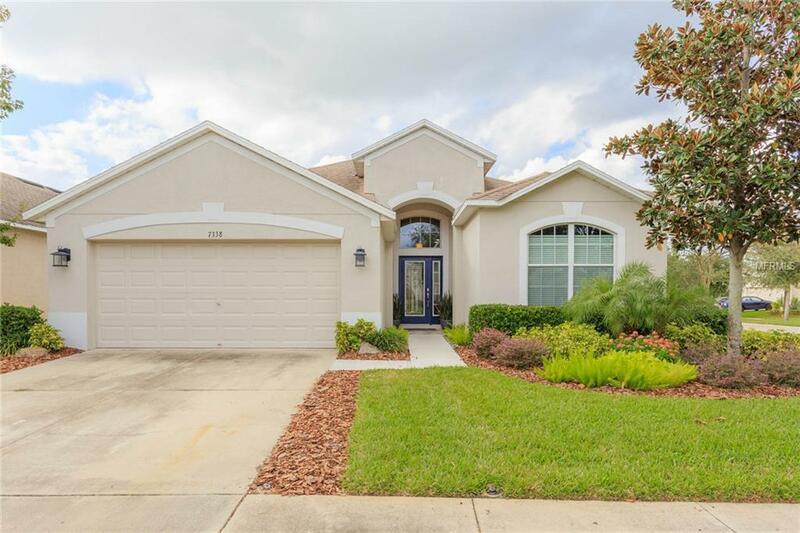 The kitchen is gorgeous w/ quartz countertops, 42 in cabinets w/ crown molding, accented w/ hardware, oversized sink, large pantry, top of the line appliances to include: refrigerator, slide in range, microwave & dishwasher. Glass brick tile backsplash really accents the kitchen space. Large eat in area. Overlooking huge family room space. There is a separate dining area accented by new lighting. The master is spacious with walk in closet. The master bath has new his & her custom sink areas, garden tub & separate shower w/ beautiful custom tile accents. Recently upgraded: fixtures, hardware, ceiling fans, led lights, water heater, water softener, Mirrors, lighting, paint inside & out. The secondary bedrooms are spacious w/ a shared remodeled bath. The back yard is a treat - white PVC fencing, covered private lanai area, built in pergola w/ swing, & the custom landscaping offers you your own tropical oasis. Separate inside laundry room including washer & dryer w/ custom countertop. This home offers so much curb appeal & so many upgrades - a must see to truly appreciate!! !